Given the oppressive, freezing conditions in which we recorded my last disc, I was keen to make sure any future recordings were held in the summer months. So the first job was to find a venue and dates that worked for me, Christopher Glynn (piano), Jim Unwin (producer and engineer) and Matt Knight (assistant in all things). At first it looked like we would have to record at the start of July, leaving a worryingly short amount of time to arrange, understand and practise Schubert’s daunting work. The venue we wanted to use – Potton Hall in Suffolk – was also unavailable, so it was back to the drawing board. After moving some work around in August, and having found a new venue – Turner Sims in Southampton – the dates were Heavy Pencilled and it was time to move my attention to the work itself. 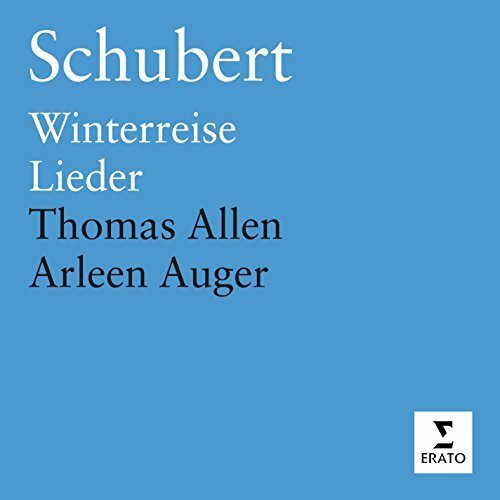 Up until now I had listened obsessively to Winterreise, but not done any research on the piece. My first idea was to speak to someone who knew the work far better than me – thank you, Marcus Farnsworth. An enlightening phone call later and I had a much better knowledge of how singers approach the work with regard to keys, a good overview of the piece and the belief that this was not just manageable, but was going to be a fantastic project. To arrange arguably one of Schubert’s most famous works for trombone and piano comes with a lot of challenges. First and foremost is dealing with my own conscience: to justify the project I have to find a way to bring something new to the work, something which singers are unable to draw on. This is the only way I can vindicate the theft of such a masterpiece. A successful outcome will rely on a certain amount of arranging and reworking of each song to explore the unique range, colours, nuance and mutes etc. available on the trombone. I kicked things off by tackling two strands at once: I started reading Schubert’s Winter Journey – Anatomy of an Obsession by Ian Bostridge, while also inputting the work (in its original key) into Dorico. I was new to this music notation software (having no more than dabbled with Sibelius), but with the odd ‘how to…’ YouTube video, I quickly got to grips with it and it seems like a remarkable programme. Ian Bostridge’s book is also worth its weight in gold, giving his personal insight (he has sung the work for over 30 years), historical context, exploring the text and a little musical analysis, it is providing a great foundation from which to work. 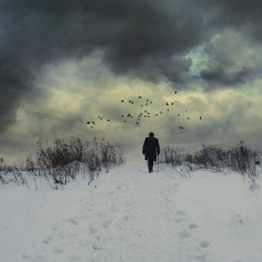 The book’s chapters mirror the movements of Winterreise itself, so I am researching each movement as I input it into Dorico, and at three down after the first week I am only too aware of how much work there is to do the piece justice. This is how things stand for now. The plan for week two is to carry on inputting movements – hopefully up to Auf den Flusse, make rough notes in the score regarding the rearranging of the work, and start to figure out how to impart the meaning of the text into the trombone and piano parts. This is where it gets interesting.